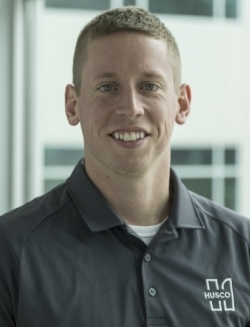 Biography: Mel has a master’s degree in Electrical Engineering from Utah State University and is founder and CEO of Autonomous Solutions Inc (ASI) in Logan, Utah. ASI develops and sells systems for driverless ground vehicle control in mining, military, agriculture, material handling, automotive proving grounds, industrial cleaning and security. Prior to founding ASI 16 years ago, Mel worked at Utah State University, where he managed two NASA space shuttle payloads. Mel is a sought-after speaker in the robotics community and has delivered addresses at conference events such as the Precision Farming Expo, RoboBusiness and The Canadian Institute of Mining. Synopsis: Autonomous Solutions Inc (ASI) has robotic vehicles operating around the world in markets like mining, agriculture, automotive and material handling. Technology developments like ASI’s multi-vehicle command and control software give a single operator control over a fleet of vehicles. However, ASI’s driverless technology wouldn’t be possible without continued work in localisation for increased accuracy indoors/outdoors and environmental awareness for obstacle detection/avoidance. ASI engineers have succeeded along the way to make the technology smarter and more aware of surroundings. Learn how ASI’s cutting edge driverless ground vehicle technology is changing the commercial industry. Biography: Brett is an agriculture and robotics specialist with a background in developing a variety of precision agricultural products and services. He is working to develop CNH Industrial's autonomous vehicle strategy to ensure ongoing forward progress in the rapidly progressing space. Synopsis: The presentation will offer an overview of the headline challenges facing the agricultural industry related to autonomy compared with the vast opportunity to solve new problems with the technology. This will include updates on insights learned from the CNH Industrial autonomous vehicle pilot programmes, where we are pioneering new technologies while learning alongside customers in the field. Biography: Elza Marisa Paiva de Figueiredo has a PhD in Mechanical Engineering and Mechatronics. In her PhD thesis she worked with computer vision, with an emphasis on object recognition. She also has a master's degree in Mathematics, with a specialisation in numerical optimisation. She has degrees in Computer Science and Physics as well. Elza has experience with MatLab, Simulink, dSapce, ROS/Gazebo. She has profound knowledge in mathematical modelling, path planning and navigation algorithms. She also has considerable experience in machine learning techniques. Synopsis: There are several technical considerations to keep in mind when designing an off-highway autonomous machine. This presentation will cover some practical applications of the various technologies encountered when building an autonomous machine, and focus on the environments where they are best suited. A few helpful tools will also be highlighted to help accelerate your development efforts as you embark on your journey to build safer, more intelligent machines. Biography: Stefan Pruisken brings more than 14 years of versatile hands-on experience in Automotive industry and has been with Elektrobit since January 2010. At Elektrobit Stefan has been in charge of several positions, started as a Senior Software Engineer and later Software Architect within the Navigation domain. After that Stefan took over as a Project Manager the development responsibility for eHorizon and localization products, and later he became a program manager for several cross-domain R&D projects within the area of automated driving. In 2016 Stefan had been for 2 years a Senior Product Manager for map-based products, such as EB’s eHorizon solutions. 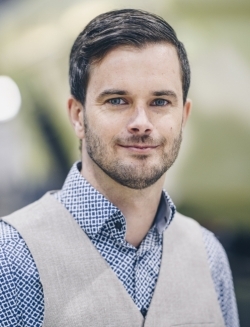 Before stepping into Business Development for EB’s Software Platform and solutions for automated driving in December 2018, Stefan was heading the Product Expert Group, a worldwide distributed customer-facing experts team in charge of architecting customer solutions. Biography: Arto has an MSc in Electronics Engineering from the University of Jyväskylä. From 2000 to 2002 he was a researcher at ABB Corporate Research in Vaasa, where he was involved with sensor technology for electric distribution networks. 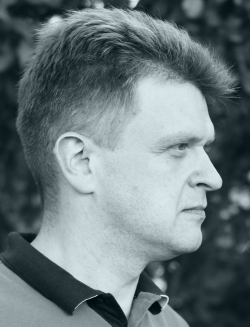 In 2002 he joined Epec Oy, Seinäjoki, as a hardware engineer. 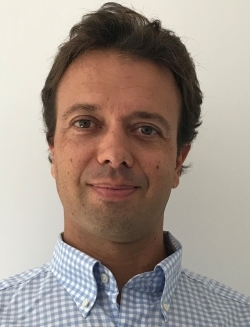 Since then, his career at Epec Oy has included several managerial positions within research and development, in the field of electronic control units (ECUs) and control systems for non-road mobile machines and automotive applications. Synopsis: In the European Union, the framework for functional safety of mobile machines is well established by the Machinery Directive. Application of harmonised standards such as EN ISO 13849 pave the way to demonstrate compliance with relevant functional safety requirements, and pre-certified components enable faster time-to-market for control system development. An increasing level of automation calls for new technology and standardisation. For a controlled environment like underground mines or cargo ports, operation of autonomous machines can be enabled by special arrangements. For other applications like agricultural and forestry, some bottlenecks must be solved by the industry to enable autonomous operation. However, new technology enables ADAS functions as steps toward autonomous machines. Biography: Dominique completed her studies in information technology with a master's thesis at BMW AG in 2009. 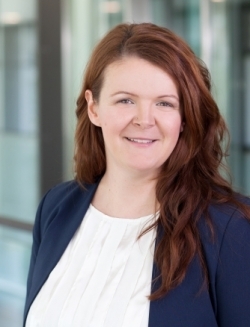 Since then she has been working as a research assistant at the Fraunhofer Institute for Embedded Systems and Communication Technology ESK in Munich on the design and validation of application architectures in the automotive environment. Since the beginning of 2018 she has also been responsible as business development manager for the professional transfer of research results into practice, particularly for resilient software systems. Synopsis: AI-based solutions are a suitable approach to cope with the complexity of autonomous driving tasks. However, decisions taken by AI are not reliable, as their decision-making process cannot be validated. AI-based solutions therefore require fundamentally different approaches to guarantee the dependability of the system in every driving situation and its failsafe behaviour. Therefore, resilient software architecture solutions give the AI adequate freedom to play out its strengths and intervene when the data determined by AI could lead to unsafe decisions. This presentation will give an insight into different approaches for resilient software architectures used for dependable autonomous systems. Biography: Ben has been at Husco for over eight years working on various advanced engineering projects with customers in North America, Europe, China, Korea and Japan. He has a background in mechanical engineering and a Master's in Predictive Analytics. Ben currently heads up a team of software, controls and hydraulic engineers who are at the forefront of developing the tools and products that are core to Husco's globally evolving technologies. Synopsis: This case study details the project conducted at Husco to enable electrohydraulic control of a standard pilot-operated 21 tonne excavator. The study details the challenges in interrupting the operator signal to provide precise digital control of the excavator. Utilising the installed control system, Husco was able to test and validate autonomous and augmented functions on the machine. The presentation will detail the controller, sensors, hardware and software that were packaged into the machine, and the future direction of the project. Biography: Simon has been with Husco for eight years in engineering and customer account management roles. Recently he moved to the USA headquarters to take on business development and marketing responsibility. He draws from a family history in agriculture to help Husco bring practical innovation to the market. 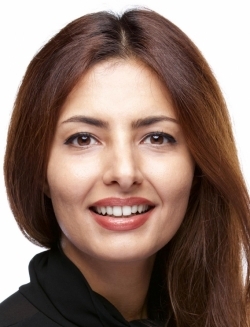 Biography: Dr Khasha Ghaffarzadeh is the research director at IDTechEx. He has helped deliver over 50 consulting projects for clients across the world. The projects have covered custom market research, technology scouting, partnership/customer development, technology roadmapping, product positioning, competitive analysis and investment due diligence. They have focused on a variety of emerging technologies such as energy storage, advanced materials, functional inks and coatings, novel display technologies, 3D printing, photovoltaics, printed electronics, electronic textiles, sensors, actuators, etc. Khasha has also research and commercialised multiple top-selling market research reports on a variety of topics such as advanced materials and printed electronics. Synopsis: All eyes are on the big ultimate prize: autonomous cars. However, this risks neglecting the growing and diverse opportunities that already exist beyond on-road passenger cars. This talk considers the rise of autonomous mobile robots in agriculture, warehouses and the delivery chain as well as in homes and commercial spaces. It will show that autonomous mobility is transforming the way we envisage vehicles in all these sectors, giving rise to new products, technologies and even business models. It will also show how unmanned mobile robots will increasingly leave behind structured environments to enter more aspects of daily life. Biography: Alexander has been general manager, off-highway electronics division at Inter Control Hermann Köhler Elektrik GmbH & Co KG since 2010. 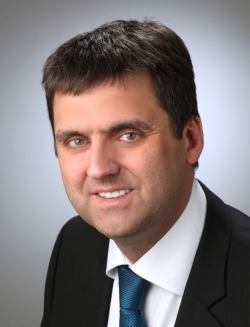 From 2008-2010 he was general manager at Sasse Elektronik GmbH, and prior to that he was head of sales and head of the electronics division at Baumüller Nürnberg GmbH. He has a Functional Safety Professional qualification from TÜV (Süd), a Dipl. Wirtschaftsingenieur (FH) from FH Würzburg, and a Dipl.-Ing. (FH), Mechatronic from TH Nürnberg. Synopsis: Autonomous vehicles like AGVs operating in highly automated harbours, or supply vehicles moving material in and out of mines and tunnels, are already common. Furthermore, partly or fully autonomous operation is feasible for applications that are based on manual control. This presentation will provide an overview of which approaches have enabled efficient design of a control system for such assisted or autonomous industrial vehicles, with special consideration of their safety requirements. This includes recommendations and examples of safe hardware structure, safe software architecture, selection of the most suitable programming language, and supporting tools. 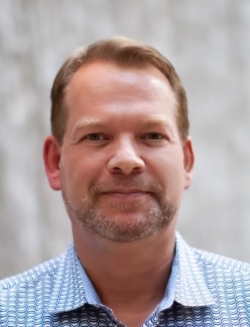 Biography: As CEO of Iothic, Chris is the visionary and author of Iothic’s autonomous authentication cybersecurity protocol, currently being globally introduced. A recognised authority and speaker on IoT, cybersecurity and blockchain innovation, Chris is a highly successful entrepreneur having built three tech startups. He has also advised global conglomerates and multiple PE and venture capital funds on startup strategies and external investment. In addition, he has served multiple global organisations in the capacity of CEO, CIO and CFO. Chris has an undergraduate degree from the University of Chicago and graduate degrees from the University of California Berkeley and Oxford University (2020). Synopsis: As the means to authenticate internet trust, the UK intelligence agency, GCHQ, developed the Public Key Infrastructure (PKI) as a robust security model. PKI is now the single most dominant security protocol used for authentication, but it is mathematically complex, CPU intensive and not designed for a decentralised IOT environment. IoT is the foundation of the automated future, but its serious impediments remain security and interoperability. The presentation will introduce academic research and development and industrial application that have produced an achievable model of security and interoperability, specifically for autonomous transportation, smart cities, critical infrastructure and Industry 4.0. Biography: Dr Bolourchi received his BSc in Mechanical Engineering from Northeastern University in 1981. His graduate studies at University of California Davis were also in the field of Mechanical Engineering. He received his MSc in 1984 and PhD in 1989. His doctoral thesis focused on non-linear adaptive control systems. The adaptation was performed on a particular controlling filter called a tap delay filter. From 1990 to 1994 Farhad worked at Hughes Aircraft Co as a member of technical staff. He worked on the attitude control system of anti-missile devices, as well as working on automotive projects such as active suspension, and electric power steering (EPS) systems. Once transferred to GM’s Saginaw Division (then part of Delphi and now Nexteer) in 1994, he continued with the development of EPS systems. For his contributions to the launch of this product, he was inducted to Delphi/Nexteer Hall of Fame in 2001 and was part of the team that won the Pace award. 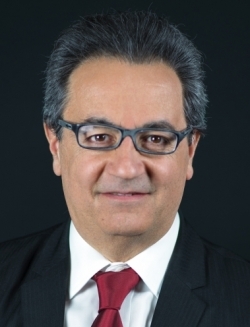 Dr Bolourchi has also been involved with analysis and design of various other steering-related projects such as steer by wire, active front steer, unified chassis control, park assist, lane keeping systems, and other ADAS systems. 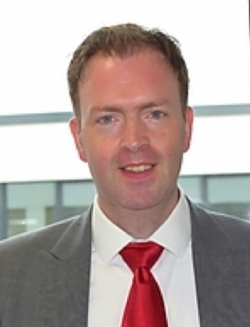 He is currently manger of the ADAS & Controls Group at Nexteer’s R&D centre. 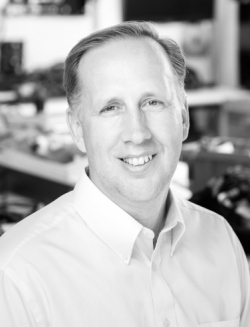 Additionally, he represents Nexteer on the Mathworks Automotive Advisory Board. Dr Bolourchi is an instructor with SAE, where he teaches a seminar called Control Systems, Simplified. 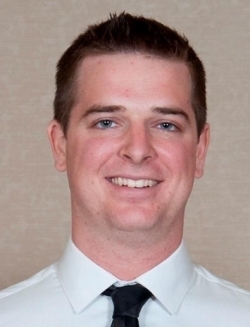 He has also been a part-time faculty member at Wayne State University, teaching control systems. Synopsis: In this presentation, we will discuss an indoor autonomous robot project we have been working on, including the system architecture, perception, planning and control, with an emphasis on the importance of improving performance through a position control actuator. Nexteer Automotive is a leading Tier 1 supplier of automotive steering systems. The firm has provided dual redundant electric power steering (EPS) systems with command tracking software to many leading autonomous vehicle startups and major OEMs. We will discuss the importance of dual redundant EPS for functional safety. 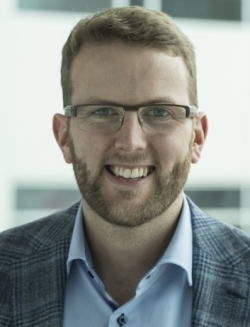 Biography: Markus is director of business development for Europe at Quanergy Systems Inc, a global leader in the design and development of solid-state lidar sensors and smart sensing solutions. He has over 17 years' experience in sales, business development and software development in the automotive and telecommunications industries. Before joining Quanergy, he held senior positions at Pininfarina and Altran. Markus holds a degree in Electrical Engineering from the University of Applied Sciences in Saarbrücken, Germany. 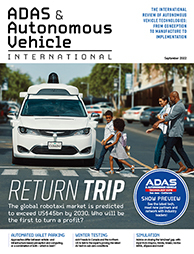 Synopsis: With more attention than ever placed on the development of autonomous vehicles, modern consumers are increasingly familiar with lidar sensors, but few realise that the self-driving prototype vehicles that they see today with large spinning sensors are likely not the autonomous cars that will be in their driveways. The sensor that will come standard in every sedan and SUV will be solid state – much smaller, significantly lower cost, and immensely more reliable. This presentation will discuss how self-driving technologies will be integrated into commercial and privately owned vehicles over time, and what this means for key industry stakeholders. Biography: Paria is a specialist in functional safety and certified by TÜV for ISO 26262. She holds a master’s degree in Industrial Engineering. 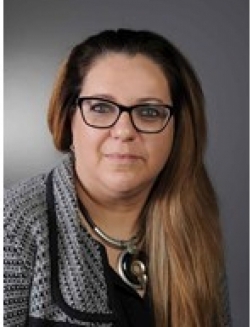 Since 2017 she has been head of the automotive department at ROSAS Center Fribourg Company in Fribourg, Switzerland. She has participated in autonomous vehicle projects such as risk analysis of autonomous bus system and project development of EPFLoop. EPFLoop is a hyperloop that is categorised as autonomous vehicle Level 5. Synopsis: In order to determine the Safety Integrity Level (SIL), functional safety standards suggest hazard and risk analysis method by risk graph that contains three criteria: severity, exposure and controllability. Controllability is defined as the possibility of hazardous events being controllable by the operator or by the person potentially at risk, but there is no operator to control risks in autonomous vehicle (AV) Level 5. However, operators are replaced by ADAS or types of logic control systems in AV. This presentation elaborates how logic control systems can play an important role as a controllability factor in hazard and risk analysis methods to determine the SIL of autonomous industrial vehicle systems. 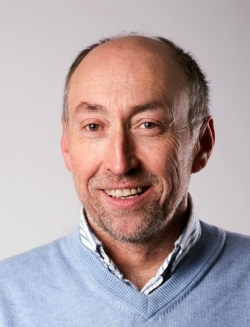 Biography: Baard is business development manager at Semcon Devotek, and an autonomy research and innovation expert at the University of South-East Norway. Synopsis: With autonomous vehicles becoming available, the challenge of putting them to work demands integration between autonomous vehicles and a company's production and warehouse systems. Coordination has traditionally been performed by trained individuals whose experience and knowledge are key to the overall system performance, but now coordination of the fleet is shifting from machine operators to the system. Can new 'system' suppliers and technologies like machine learning and artificial intelligence help to solve this gap? 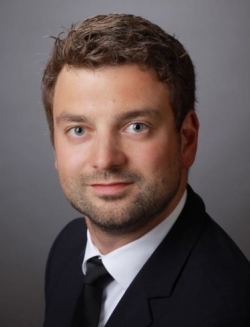 Biography: Yann has been business manager for GNSS OEM at Topcon Positioning for 10 years, and has been involved with most of the company's projects involving high-accuracy positioning. Synopsis: As a leading supplier of surveying equipment and machine control positioning solutions, Topcon Positioning is now going a step further with the introduction of global GNSS Correction Service, Topnet LIVE. The presentation will explain how Topnet LIVE offers surveying accuracy positioning to OEM partners and in particular how this technology is applicable to autonomous vehicle guidance. It will describe how the infrastructure of the global GNSS correction service is organised, its key components and also how the correction data is broadcast to the moving vehicles, either by cellular or L-band. Biography: Roberto graduated in Electrical Engineering with a focus on automation systems from the Milan University of Technology. After completing his state exam in Engineering, he worked for Microtec GmbH. In 2001 he took over as technical director of TTControl, a newly founded joint venture of TTTech and Hydac. Since 2013 he has been responsible for overall sales in Italy. Synopsis: The rising demand from mobile machinery manufacturers for autonomous operations is linked to new challenges, but also to new opportunities for hardware and software suppliers. In addition to the need for higher CPU performance and storage capacity to handle the data flow, higher safety, new processes and tools are required to fulfil the increasing demand. The future collaboration between the operator and the machine itself will be redefined. Still, we need to be aware that this approach requires a strict separation of autonomous and manual mode, even though the responsibilities of the operator will change in the future as well. Biography: Fritz has 20 years' grid and cloud computing experience and helps set technical vision while spearheading strategic alliances. He has long been regarded as the father of Grid Engine and its forerunners Codine and GRD. He ran the Grid Engine business from within Sun Microsystems and Oracle for the past 10 years, taking it from an upstart technology to the most widely deployed workload management solution in some of the most challenging data centre environments on the planet. Under Fritz's leadership, Grid Engine was open sourced and has grown a vibrant community. Synopsis: High-performance computing (HPC) is a critical component of creating and managing self-driving industrial vehicles, and is used for the design, engineering, validation and ongoing management of these highly complex vehicles. Furthermore, autonomous industrial vehicles will be transmitting an extraordinary amount of sensor data that needs to be analysed. This paper will discuss the different types of workloads used in the design, training and validation of this next-generation technology. The paper will also explain how machine learning can be deployed, including how Kubernetes and Univa’s Grid Engine software run alongside each other to manage diverse workloads. Biography: Christoph is responsible for OEM key account management. 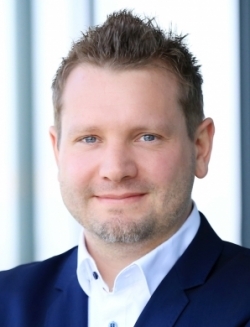 Before joining Vemcon he spent more than four years at Liebherr-MCCtec as a development engineer, first for hydraulic systems of ship and offshore cranes, and then for mechatronics for construction machinery and maritime crane systems. He studied mechatronics at TU Dresden, where he focused on robotics, special production methods, machine design, and hydraulic and pneumatic systems. Synopsis: Manufacturer-independent technology solutions would dramatically speed up digitisation and productivity growth in the construction industry. If the necessary interfaces (between machine, tool, other machines, other aftermarket solutions, digital services, etc.) were built in by the OEM already, dealers wouldn’t experience compatibility problems when configuring machines with retrofit solutions. This would enable retrofitters to offer solutions to constructors that increase productivity quickly, flexibly and at relatively low cost. 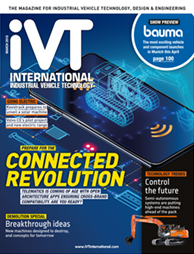 OEMs could benefit from fast digitisation with new revenue streams through productivity-enhancing functionalities and unique selling points for their intelligent machines. They would open up new business segments with short time-to-market. Biography: Uwe is a specialist in automation and electrification of construction equipment, with extensive experience in innovation engineering to create solutions for a sustainable future. Since he joined Volvo CE in 2006, he has led several research projects developing new technologies, concept machines and site systems. Currently he is the chief project manager for the breakthrough study Electric Site in partnership with Swedish Energy Agency, customer Skanska and research partners Linköping and Mälardalen University. Synopsis: Uwe Müller was the chief project manager for the groundbreaking Electric Site study carried out in a quarry with a fleet of autonomous and electric machines, resulting in a 98% reduction in carbon emissions, 70% reduction in energy costs and 40% reduction in operator costs. The project involved developing new machines and site management systems, forming a complete site solution with connected machines programmed to collaborate to carry out a specific set of actions on a pre-defined route. A specialist in autonomous technologies, Uwe will also share other pioneering development at Volvo CE to help customers improve efficiency, safety and costs. Biography: Gunwant graduated with honors with a master's in Engineering from Imperial College, London. 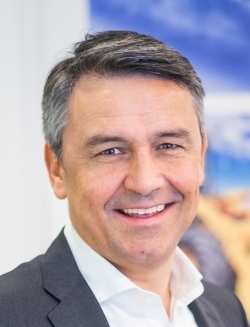 His track record includes working for OEMs including Rover Group, Rolls-Royce and Bentley, and technology developers including Valeo Group, Germany. He is currently chief engineer in the energy and electrical systems group at WMG, University of Warwick. 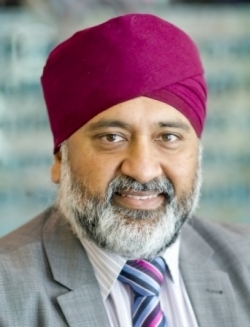 He is leading the intelligent vehicles engineering function on projects including INTACT – accelerating the testing of low-speed autonomous vehicles, with RDM Group, using the WMG 3xD simulator; SAVVY – Smart Verification & Validation methodologies for ADAS technology; UKCITE – test methods for testing cybersecurity of connected technology; PICASSOS – developing new tools for the UK supply chain to improve the integrity of embedded software systems and systems of systems using formal verification tools and techniques. Biography: Kris graduated as an electro-mechanical engineer at the University of Leuven, and started work in the automotive sector in 1993. 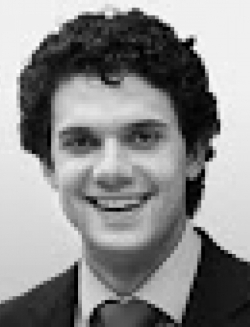 He started his career as a technical consultancy engineer on high-tech NVH projects. He went on to acquire experience in engineering management and technical sales, becoming business unit manager and managing director within different industrial companies, and gaining worldwide experience in Europe, the USA and Asia. Strongly convinced of the innovative power of the XenomatiX technology and its inevitable breakthrough, he joined this fast-growing high-tech company at the Research Park in Leuven, Belgium, as VP sales and business development in 2016. Synopsis: Cost and detection reliability are key decision criteria for automotive surround sensing technology. Cameras rightfully earned their place in cars. However, resolution, computing power, night vision and 3D capabilities remain a concern. Can lidar outperform cameras in these areas? Can this be done at an affordable cost? And is lidar robust enough for automotive use? This presentation will discuss lidar performance in harsh conditions and give an impression of what lidar ‘sees’. The presentation will show real data and real results from tests in real-life conditions, checking on robustness, sensitivity, precision and range. The paper will give an insight into the performance of a solid-state lidar in serial cars, and how it goes together with camera: redundant or not?